If you are looking for spiritual black cat names, look no further, we’ve got you covered. In the past, people often named their cat based on the color of their fur. 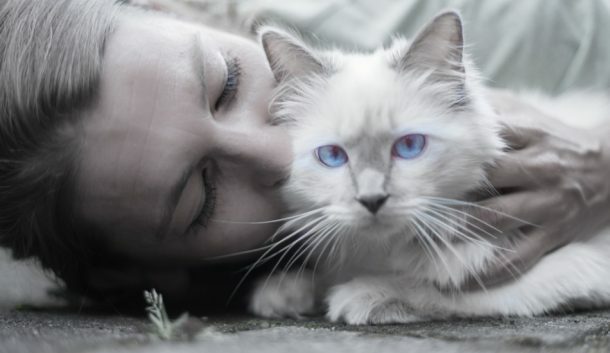 Although the tradition remains to this day, now people see cats more as family members than as pets, giving them names that have some meaning. Below, you will find a list of 10 most popular spiritual names for black cats. 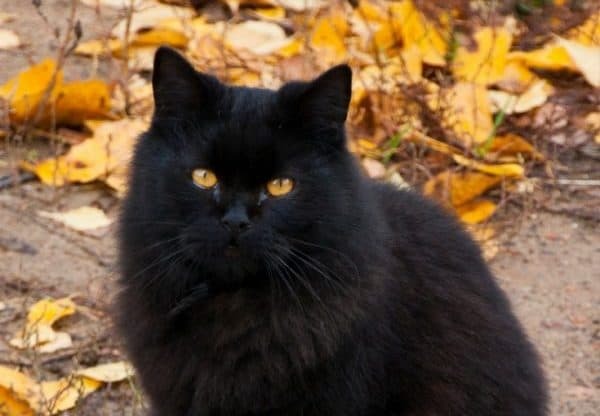 What Do These Spiritual Black Cat Names Mean? First, let’s take a quick look at the top 5 spiritual black cat names for both boys and girls. Then, we’ll dig a little deeper to discover their meaning and help you choose the perfect name that resonates with your faith. From an etymological standpoint, the word spiritualism comes from the Latin word spiritus meaning spirit. By definition, it is opposed to everything material and it encourages an inward journey. In case you want your cat to join you on that journey, give it a name that is not only deeply rooted in spirituality, but also has a beautiful meaning. Furthermore, cats are very sensitive to the energy they feel in their surroundings and are drawn to people’s auras, which makes them ideal candidates for spiritual names. Nirvana is a name that comes from Sanskrit and its figurative meaning is a state of complete bliss devoid of all suffering. In the words of Kurt Cobain , Nirvana represents the freedom that comes after pain, suffering and the outer world, making it a perfect name for a cat that radiates calming energy. In my opinion, Nirvana is one of the most powerful names that also carries a strong meaning with it. If your kitty has a meek and gentle personality, Virtue might just be the perfect name. Virtue stands for moral principles and goodness and has a synonym in the word noble. Karma and Destiny have a different meaning. Destiny is something that is destined to us or written in the stars. Karma – in addition to what we have been destined – is part of our own responsibility. The word is of Sanskrit origin and it signifies action. It is equivalent to Newton’s third law that says “every action must have a reaction”. When we think, speak or do, we initiate a force that will have an appropriate reaction. By definition, this name stands for something difficult to grasp or explain. 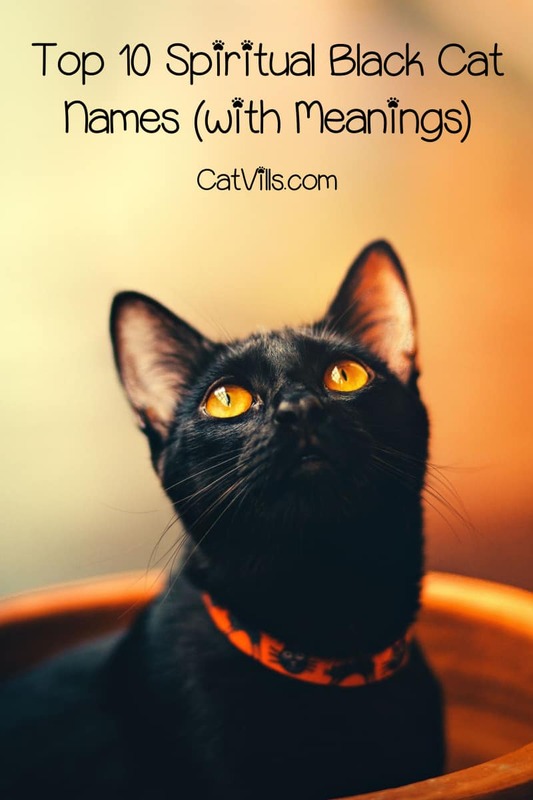 It is a perfect spiritual black cat name if your kitty has a mystic aura around her. Does she like to hide her toys and food, or act cautiously towards strangers? If you are never certain what she’s thinking or what she might do, this name will suit her perfectly. The name “Mystery” works beautifully for all faiths, because a large part of religion revolves around the mystery of the higher power. The translation of this name to the English language would mean “Lioness of God” and it is perfect for cats that are caring and lovable but also fierce in their own right. When I was looking to name my cat, this was one of the names that I particularly liked. Ariel is the name of an angel, a demon, and another variation for the name of the city of Jerusalem. The name became popular due to the Disney animated movie “The Little Mermaid ”, and although traditionally a male name, it became more popular for females. If you have an outdoor cat that loves to hunt bugs, birds or other smaller animals, Azrael might be an ideal name. The name originates from the Jewish holy book “Zohar”, and means the angel of death. It’s not as morbid as it sounds when you think about it. After all, depending on your faith, it is comforting to think of angels helping your loved ones cross over. Azrael is a powerful name, and I really like the way it sounds. This name became very famous in pop culture due to its appearance in the Belgian animated series “The Smurfs ”, where the main villain’s cat, who was a fan favorite, was named Azrael. It’s a great name for a kitty that is very affectionate and practically joined at your hip, don’t you think? You don’t have to be a fan of Sabrina the Teenage Witch to appreciate the name Salem, especially if you’re looking for a strong Wiccan name. The Massachusetts city is known for its witch hunt craze in 1690s, but Wicca practitioners have taken it back and turned a tragic history into something light and positive. Pop culture cemented cats as ideal companions for witches, right next to brooms, pumpkins, and cauldrons, therefore, any black cat would happily respond to this name. A Greek variation of the Hebrew name meaning “love God”, might be appropriate for a lovable, cuddly, black cat. It can easily be shortened into a more affectionate, Toby. I particular like this name because my neighbor’s cat, who is such a cuddly delight, is named Tobias and he puts a smile on my face whenever I see him. If your cat is especially sensitive to the energies that surround him, this might be the perfect name. Omens are usually considered as predictions of future events. This word can also mean faithful, so it’s a good match for loyal cats, who never leave your side. I hope this list of spiritual black cat names I came up with will have exactly what you’re looking for or at least inspire you when it comes to naming your kitty. There are religious names, as well as those with a general spiritual connotation. Are there any spiritual black cat names you like but didn’t find in this list? Don’t hesitate to share them in the comments below! That was really insightful! I think there might be a Levi in my future. 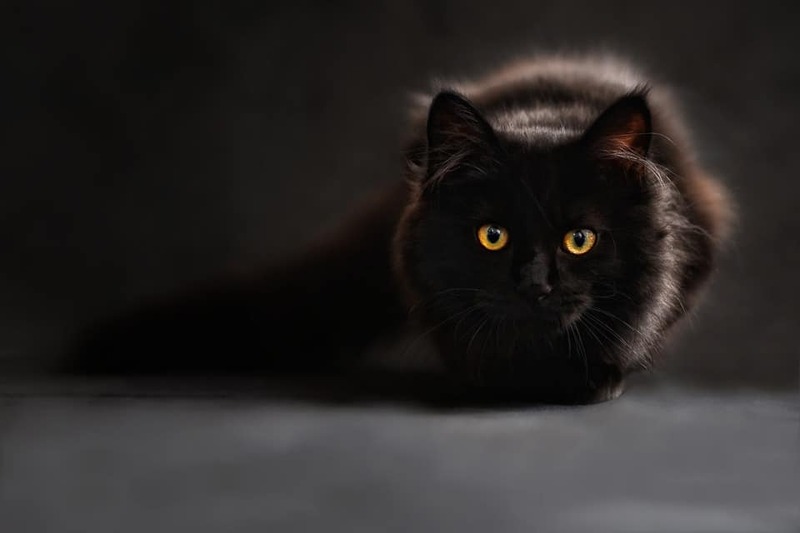 I love the look of a black cat, there is something so mysterious about them. It is so cool to know about these cool spiritual black cat names. In many cultures sadly black cats are considered to be inauspicious. I really thought this post might be creepy but it was totally legitimate. I have a black cat and we named him Paku because in my husband’s language that means “burned”. SO it was just kind of funny. We love her so much.